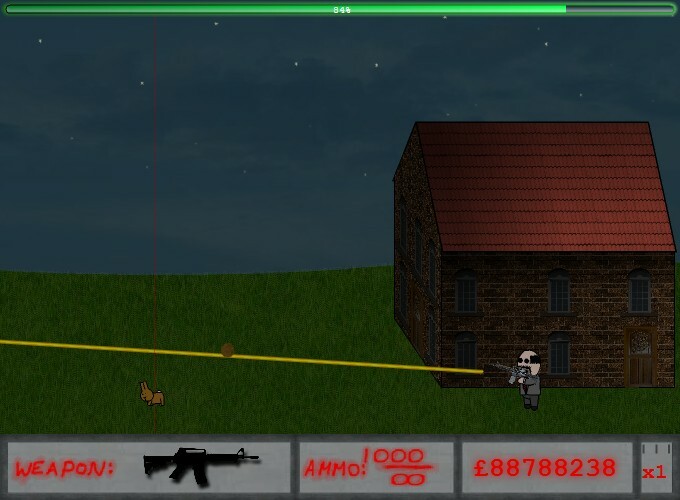 Defense Shooting Upgrade Action Newgrounds Click to find more games like this. 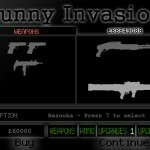 Your mission in this shooting flash game is to go mental on an army of evil bunnies that have broken out of a nearby research facility. 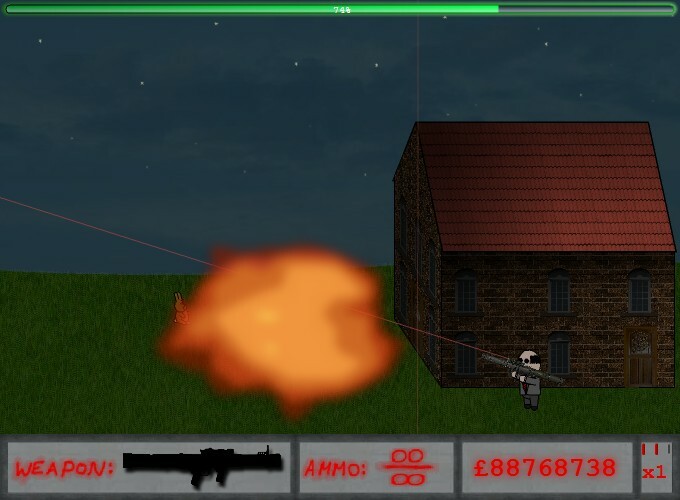 Defend your house, upgrade your weapons, upgrade your house, even spread disease onto the little shits. 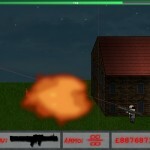 Use YOUR MOUSE to aim and shoot (Do not use the cursor as your aim, use the laser, the cursor is inaccurate), press "R" KEY to reload and use "E" and "T" KEYS to scroll weapons. 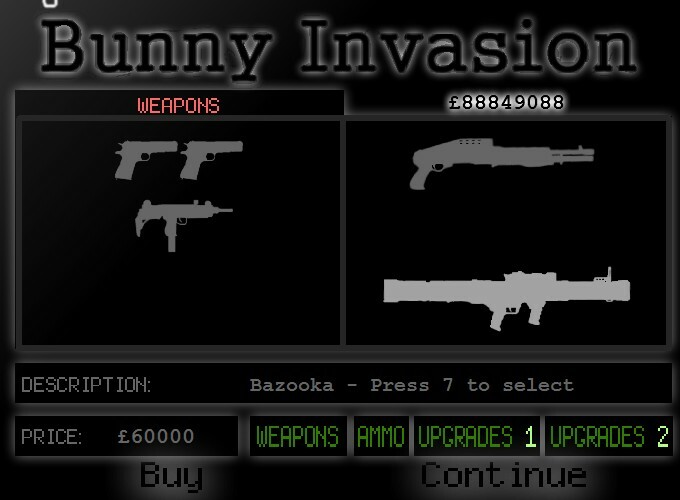 There are 50 levels packed full of 8 different types of bunny, ranging from suicide bombing bunnies to overweight pregnant bunnies that shoot pink squishy baby bunnies onto your house!